The William & Mary Law School, also known as the Marshall-Wythe School of Law, is located east of campus beside the National Center for State Courts on South Henry Street. Before the construction of its present home, the law school was housed in a number of buildings. It was located in the Old Gymnasium from 1922 to 1931, in James Blair Hall from 1935 to 1968, and in St. George Tucker Hall from 1968 to 1980. 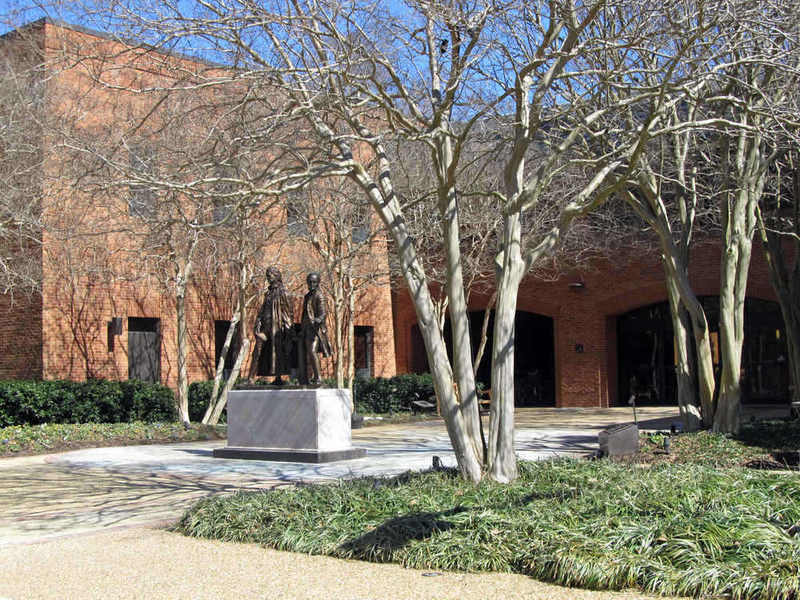 The school is named for John Marshall, class of 1780 and the 4th chief justice of the U.S. Supreme Court, and William & Mary professor, George Wythe, the first professor of law in America. The opening ceremony for the School of Law occurred on January 14, 1922, when the school was still housed in the Old Gymnasium. The ceremony was attended by members of the Virginia General Assembly as well as other governmental officials. At that time, courses taught at the law school were arranged to prepare students for legislative, educational and diplomatic lines of work. 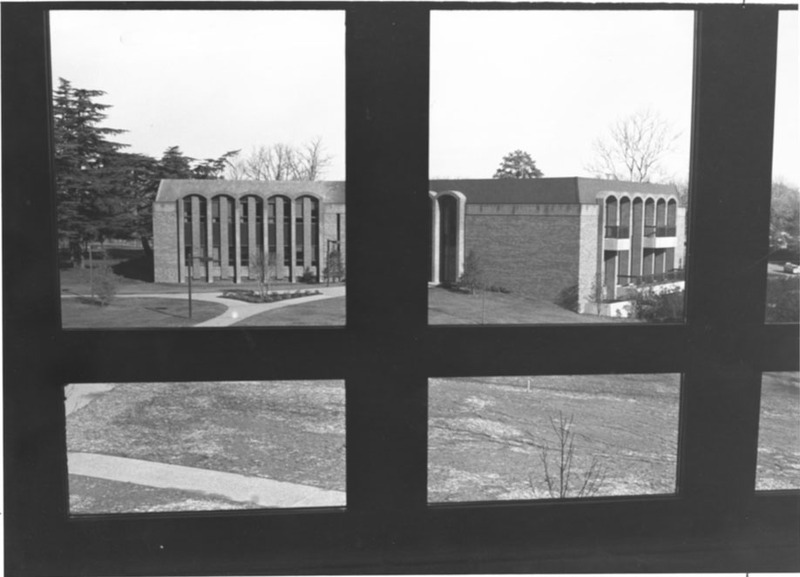 By 1974, overcrowded conditions in classrooms in Tucker Hall caused the administration to plan for a separate building. In 1975, the firm Wright, Jones, and Wilkerson designed the new law school building, and the groundbreaking ceremony was held on September 11, 1976. However, construction of the building was delayed until March 1978 due to lack of funding. The Law School moved in during the summer of 1980, and the dedication ceremony was held in September of that year. Law School entrance, 2015: A March 2015 photograph of the entrance to the Law School and Wolf Law Library. The Statue of Marshall and Wythe is prominent. ~ Source: University Archives Photograph Collection, UA 8. ~ Creator: College of William and Mary. 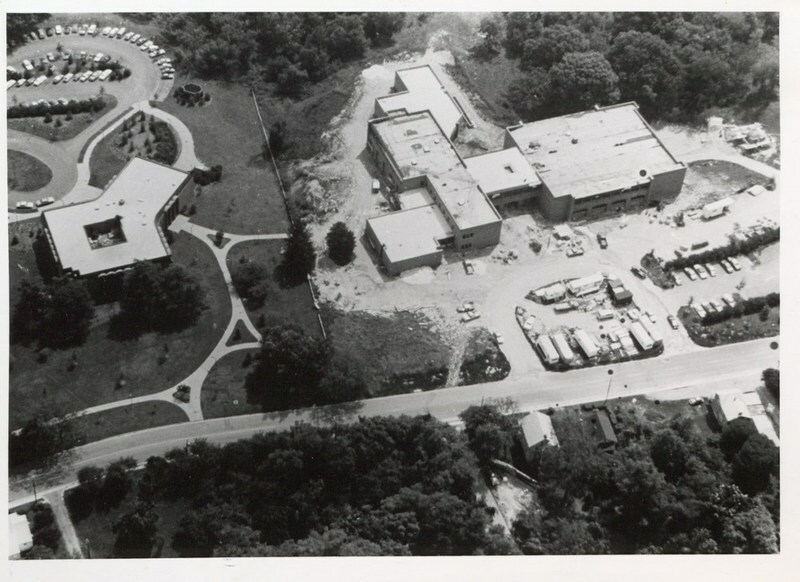 Law School under construction, circa 1978-1980: An aerial view of the construction of the new building for the Marshall-Wythe School of Law, circa 1978-1980. ~ Source: University Archives Photograph Collection, UA 8. ~ Creator: College of William and Mary. 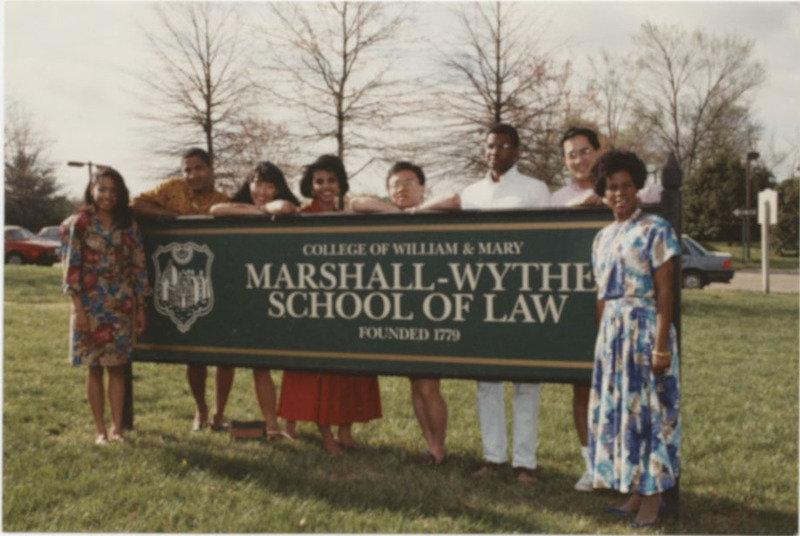 Law School Sign, circa 1981: Member of the Law School community surround its sign circa 1981. ~ Source: University Archives Photograph Collection, UA 8. ~ Creator: College of William and Mary. 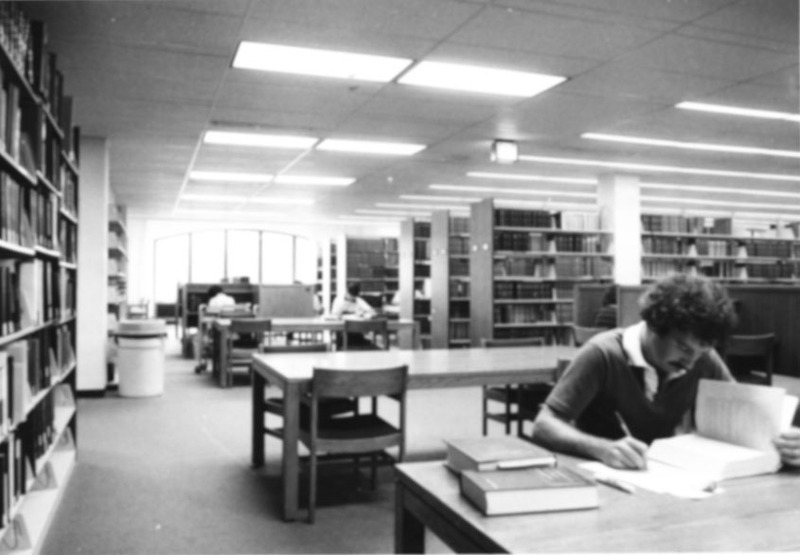 Law Library, undated: An undated image of a student working in the library at the Marshall-Wythe School of Law. ~ Source: University Archives Photograph Collection, UA 8. ~ Creator: College of William and Mary. 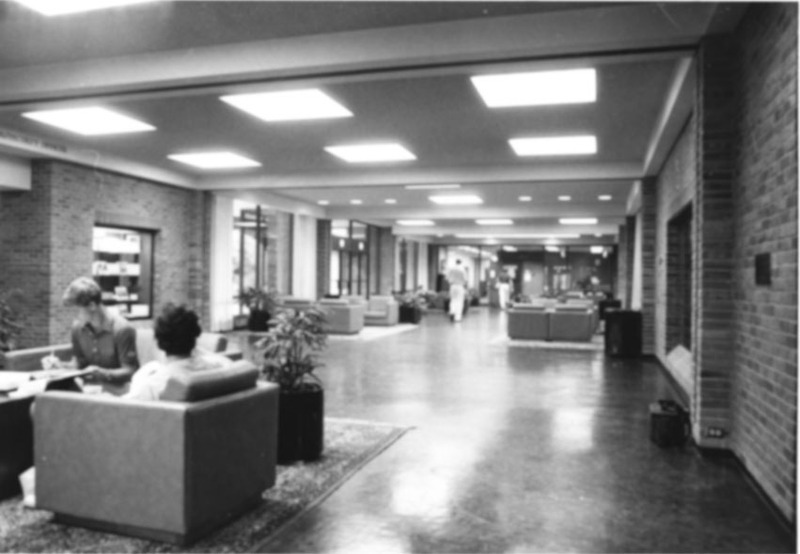 Marshall-Wythe Lounge Area, undated: An undated image of an interior lounge area at the Marshall-Wythe School of Law. ~ Source: University Archives Photograph Collection, UA 8. ~ Creator: College of William and Mary. Law School exterior, undated: The exterior of the Marshall-Wythe School of Law visible through a window. ~ Source: University Archives Photograph Collection, UA 8. ~ Creator: College of William and Mary. 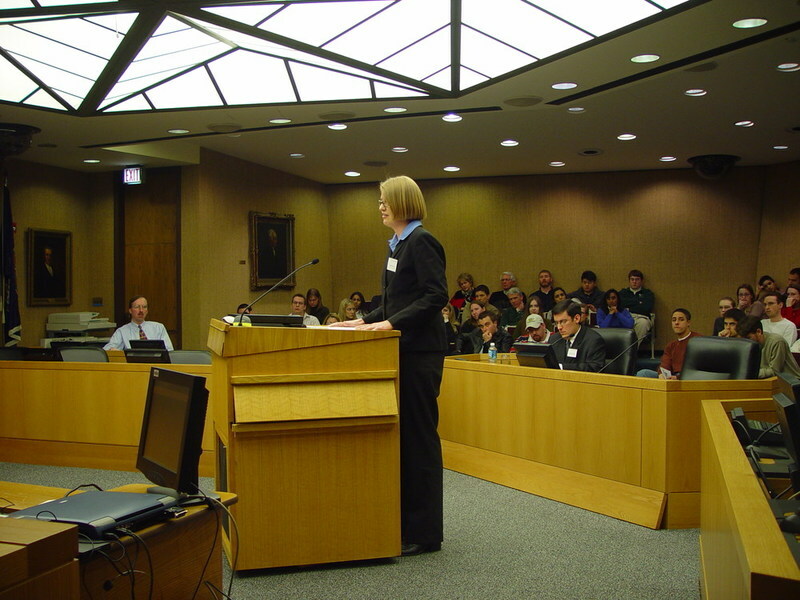 Moot court at Law School, undated: A speaker in the moot court at the Marshall-Wythe School of Law. ~ Source: University Archives Photograph Collection, UA 8. ~ Creator: College of William and Mary. 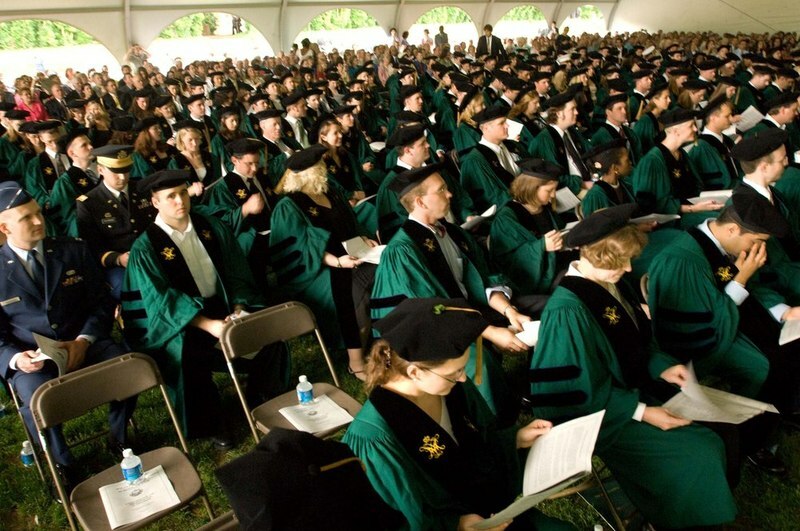 Law School Graduation, 2005: Graduates of the Marshall-Wythe School of Law at their 2005 graduation ceremony. ~ Source: University Archives Photograph Collection, UA 8. ~ Creator: College of William and Mary. 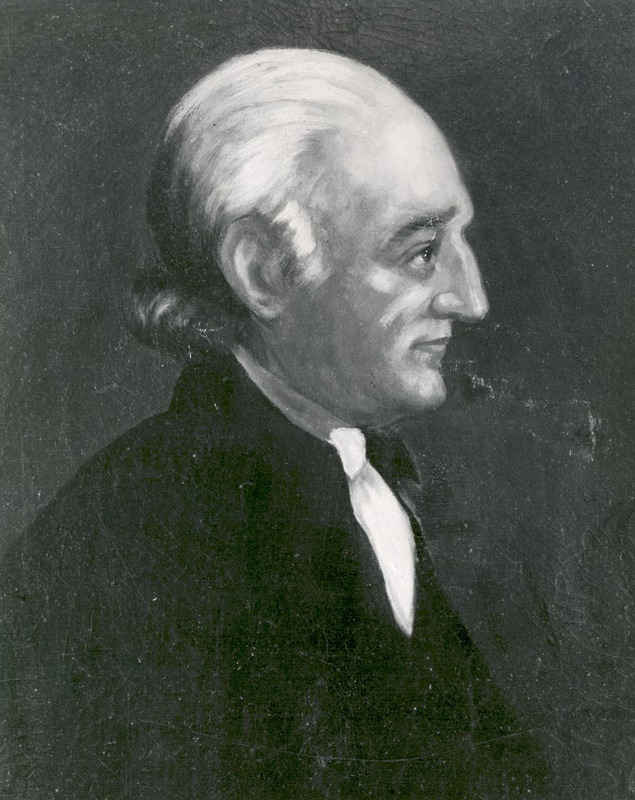 Photograph of a Painting of George Wythe, undated: George Wythe was a member of the Virginia House of Burgesses, member of the Continental Congress, signer of the Declaration of Independence, and the first professor of law at William & Mary. ~ Source: University Archives Photograph Collection, UA 8. ~ Creator: College of William and Mary. 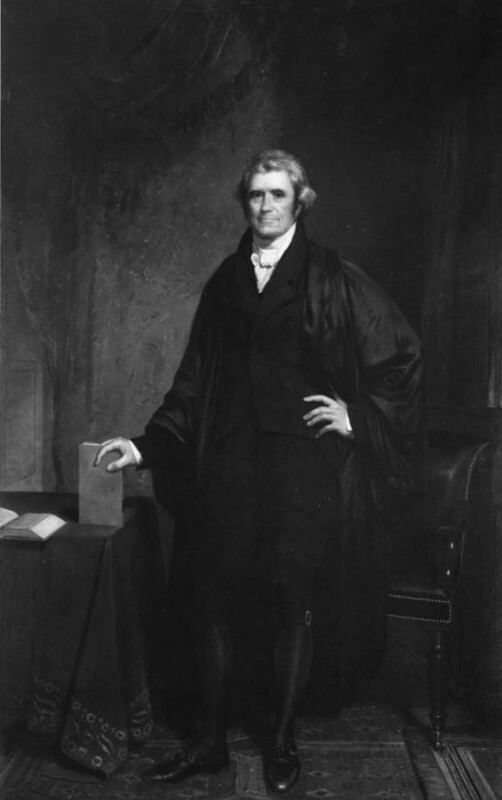 Photograph of a portrait of John Marshall, undated: A photograph of a portrait of John Marshall, who studied law at William & Mary under George Wythe and would go on to become the fourth chief justice of the U.S. Supreme Court. ~ Source: University Archives Photograph Collection, UA 8. ~ Creator: College of William and Mary. 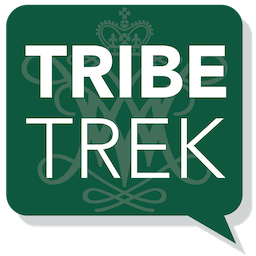 Special Collections Research Center, Swem Library, College of William and Mary., “William & Mary Law School, Constructed 1978-1980,” TribeTrek, accessed April 26, 2019, https://tribetrek.wm.edu/items/show/45.